We present Juniper Berry Oil which is high on purity. The therapeutic properties of Juniper Berry Oil includes being an antiseptic, anti-spasmodic, astringent, carminative, diuretic, emmenagogue, depurative, vulnerary and tonic. Useful for acne and other skin treatments, our Juniper Berry Oil is widely demanded by the clients. 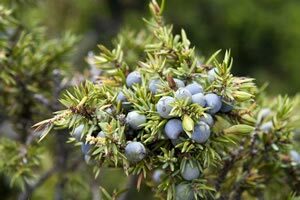 Juniper Berry Oil has some good antiseptic properties that make it useful in treating acne, as well as other skin inflammations. It is great for treating cellulite, as cellulite is at times accompanied by mild inflammation. The safe yet dependable diuretic effects of Juniper Berry Oil help to clear the skin, not only from unwanted toxins, but also from excess water in the tissue.